Colouring books for adults are super big at the moment and I think that is awesome. I love colouring in. If you want to get in on the action here are a few printables to try. Want to say a big ole’ pink HELLO to someone? Grab this printable from Happy Mail Day for just .99c! Are you a fan of handwritten letters and snail mail? We should send more, don’t you think? When it comes to blogging, tracking your audience is pretty important, especially if you want blogging to be more than a hobby. I use this sheet to keep track of audience numbers across various mediums from RSS through to my mailing list. The design is very simple and there is plenty of space to write your numbers. Download your copy here. I don’t know about you but I am a big list maker. I start the week off with a brand new to do, and while I don’t always get all the way through my list, it does help to relieve some stress. The more to-do lists I create, the less my brain has to remember, and that is a big win. This is the template I use when creating my to-do list each Monday. It’s an A4 PDF file and you can download it here. 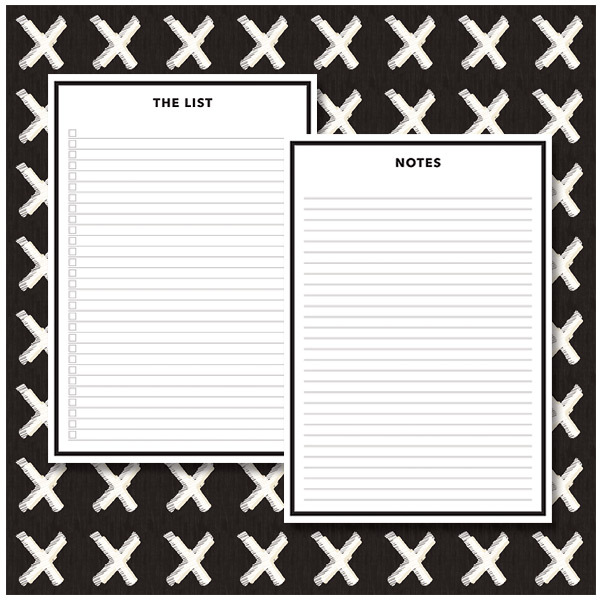 Go forth and make lists! Have you popped over to the Happy Mail Day Etsy store? There’s some lovely printable stationery that you can buy and print at home! Remember to leave your postal address if you order so I can send you something in the mail! Ohhhhhhh dear. I’ve had so many problems with the site over the last two weeks. I won’t say anything more lest I jinx myself. Instead I’ll direct your attention to this. If you’ve left your Christmas card purchasing ’til the last minute might I sway you in the direction of these stunning foxy numbers from France Illustration. I think they are super cute! Put a fox on it!